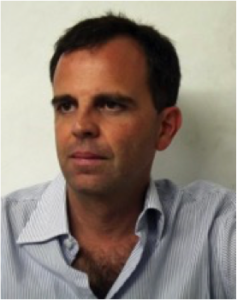 Giuseppe Cecere is Associate Professor of Arabic Language and Literature at the University of Bologna, and holds a PhD in Near Eastern Studies (History and Philology) from the University of Florence (2007). He spent almost twelve years in Egypt (2002-2014). From 2009 to 2014, he was Fellow Researcher in Arabic and Islamic Studies at the IFAO (Institut Français d’Archéologie Orientale) in Cairo. In 2013-2014, he taught a course (Sufis and Muslim Mystics in Contemporary Egypt) at the Department of Islamic and Middle Eastern Studies of the Hebrew University of Jerusalem. His research focuses on the Sufi “presence” in the multicultural and multi-religious context of Egyptian society, both in medieval and contemporary times, with special interest in Jewish-Muslim relations and representations of Jews in Arabic and Islamic cultures. In May 2014, he was invited to lecture as part of the ISGAP Seminar Series on Antisemitism in the Comparative Perspective at La Sapienza University in Rome. His publications include: Les mystiques juives, chrétiennes et musulmanes dans l’Egypte médiévale:Interculturalités et contextes historiques (2013) and The Shaykh and the Others – Sufi Perspectives on Jews and Christians in Late Ayyubid and Early Mamluk Egypt (2018).